Germany is welcoming foreign job seekers to ease a shortage of workers the nation is facing. The country is easing immigration rules in a bid to attract many more foreign workers seeking employment in Germany. The shortage of workers threatens Germany’s economic growth as companies are unable to hire and expand operations. How many immigrants does Germany need? The Institute for Employment Research (IAB) and the Coburg University of Applied Sciences forecast that Germany will need immigration from non-EU countries just to keep its labor force at a constant level. Depending on the scenario, Germany may need from 276,000 to 491,000 foreign job seekers from non-EU countries every year, or up to nearly 15 million non-EU immigrants by 2050. What drives Germany’s need for foreign job seekers? Germany is in a difficult demographic situation. It has the oldest population in Europe, and a low fertility rate. By 2019, Germany is forecast to have fewer people under the age of 30 than people over the age of 60. This situation will certainly lead the nation to negative population growth. The forecast is for German population to decline by over 10 million people by the end of the 21st century. However, the ability of Germany to absorb foreign job seekers can be questionable. Many migrants seeking asylum in Germany are unable to obtain jobs, even though the government has employment programs in place to provide assistance. What is the new German skilled labor immigration law? The German government’s new skilled labor immigration law is known as “Fachkräftezuwanderungsgesetz.” The goal of the law is to facilitate the immigration of foreign job seekers from countries outside of the European Union (EU). This is the first immigration law of its kind in Germany. Adopted in December 2018, the new law uniformly defines the concept of professional workers, for both academics and those with vocational training. Aspects of the law allow for foreign job seekers to enter Germany if they meet certain requirements. Must have sufficient qualifications and an employment contract. Are eligible for admission for up to six months. During the six months, can participate in the program’s trial period of up to 10 hours per week. Must have sufficient language skills for the desired activity. Must be able to earn a living during their search. When Germany rejects asylum seekers, they cannot switch into the immigration process for labor with skills. However, anyone who has worked for at least 35 hours per week, for at least 18 months, and has been allowed to stay in Germany for at least one year, is offered a two-year employment toleration. German businesses generally support this measure. However, German employers state that the most important factors in hiring are knowledge of the German language and secure residency status. Integration into German society is an important factor for asylum seekers to be successful as foreign job seekers. Many successful job holders complete an integration and language course. What should employers expect regarding foreign job seekers? Employers in Germany should expect to see an increase in the number of foreign job seekers from non-EU countries. They should also expect to see a rise in the need for integration and language courses. Employers should offer assistance programs to help new hires assimilate into the company and German society. Employers in Germany should review their company’s growth plans and requirements for jobs across all levels of skill sets. They should also determine how their company’s growth plans will impact the jobs required to meet business plans and goals. Employers should consider developing apprentice programs and structuring jobs to appeal to foreign job seekers. 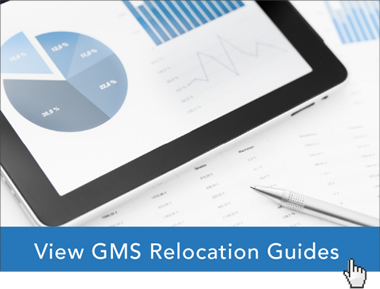 GMS’ team of global relocation experts has helped thousands of our clients develop relocation programs that attract and retain qualified employees across the world. Our team can help your company determine how to benefit from Germany’s new skilled labor immigration law and attract highly skilled foreign job seekers.